Malte Schürmann | Littler Mendelson P.C. 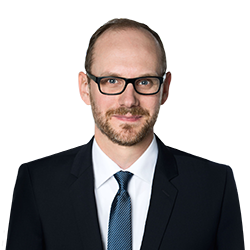 Malte Schürmann focuses his practice in collective employment law, in particular company pensions, deferred compensation and industrial constitution law. In his previous role, he worked at a Hamburg law firm, where he was able to build on his background in employment law and legal representation. He gathered further professional experience working as a legal adviser at an eCommerce company in Hamburg, where he was responsible for all of the company’s legal matters.